What's the story behind all those poems at the end of the Haggadah? Why do we say them? 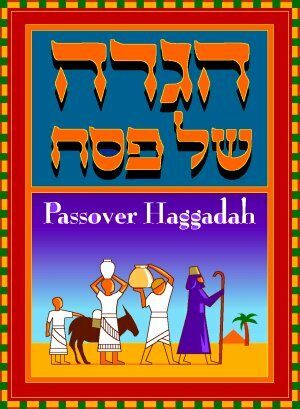 The word Haggadah comes from the Torah command - "And you shall tell (v'Higadeta) your children on that day..." Although the minimal fulfillment of this mitzvah is a simple recounting of the going out of Egypt and explaining a few of the Pesach symbols, proper fulfillment requires much more. Over the centuries additions have been made to the Haggadah to enhance this mitzvah. Many of these additions gained such wide acceptance that they became part of the Haggadah. One of those additions is the Chad Gadya. Another is 'Dayeinu.' Rav Saadia Gaon (882 CE - 942 CE) included neither in his Haggadah, although he did recognize the existence of Dayeinu. Neither Rashi (1040 - 1105) nor Maimonides (1135 - 1204) included Chad Gadya in their versions of the Haggadah, although Rashi did include Dayeinu. In the Machzor Vitri, Rav Simcha of Vitri, an important disciple of Rashi, includes sections which we don't say today. Although Rashi himself did not say them, they were said in Provence (Southern France) in his day. The metamorphosis of the Haggadah concluded in the late middle ages, aided by the invention of the Printing Press, which enabled the basic Ashkenazic version which had been endorsed by the Ari z"l to be accepted even in Sephardic communities. The text is based upon the Haggadah of Rav Amram Gaon, who headed the Babylonian Yeshiva of Sura between 856-876 CE. This text was endorsed by Rashi. Rav Amram's Haggadah concluded with the after blessing on the fourth cup of wine. It did not include 'Chasal Siddur Pesach'. 'Chasal Siddur Pesach K'Hilchaso' by Rav Yosef Tur-Elam I (died 1040 CE). 'Ometz Gevurasecha' by Eliezer Hakalir, 7th century. 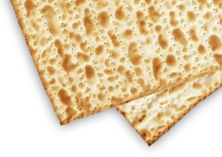 Maharil cites the custom here, too, to precede with the words: 'U'vechein V'Amartem Zevach Pesach'. 'Ki Lo Naeh, Ki Lo Yaeh - Adir B'Melucha', author unknown but cited by 'Eitz Chaim', Rabbi Yaakov bar Yehuda of London (circa. 1285 CE). 'Adir Hu Yivneh Beiso B'Karov', author unknown. 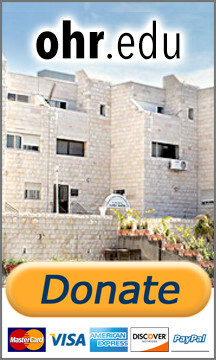 'Echad Mi Yodeiya? ', author unknown. The earliest known inclusion of Chad Gadya is in Sefer Rokeach (1160-1238). Although we don't know who actually authored Chad Gadya, tradition teaches that it is a very significant work and has great depth of meaning in its symbolism. (for an example see KID-Stuff) Literally hundreds of explanations have been written on it. The Chida (1734-1806) writes that the Vilna Gaon (1730-1798) alone wrote more than 10 different explanations!